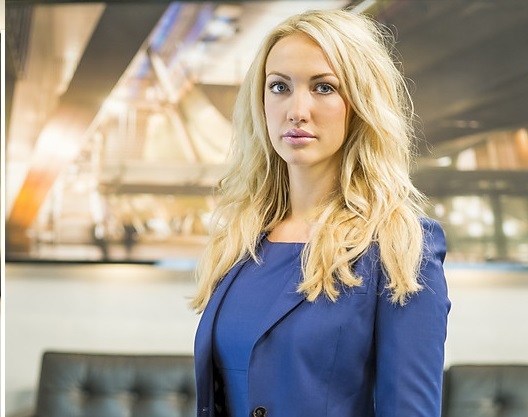 Leah Totton has won the Apprentice and has been given $250k to start her boutique Botox business empire. Leading up to the finale, Dr. Totton was criticized by nasty internet trolls, but we are so happy to see her wind up on top. Her plan is to now set up a chain or franchise of Botox clinics throughout the world. Dr Totton has only a very small amount of Botox and no other cosmetic procedures. This was revealed not only through her own disclosure but her own doctor verified this. “I have various family members who have had procedures done by people who, I think, weren’t properly trained and certainly weren’t healthcare practitioners. The results weren’t shockingly bad but they weren’t great, either, and when I did some research I was horrified … horrified, Judith – to discover the lack of regulation in the industry.” ,” says Leah.Dr. Totton’s clinics will have the brand name “Dr Leah” and she has hopes to release her own skincare line as well.The thing about the Apprentice is, the business will gain lots of momentum JUST because it was ON the Apprentice. No what I mean? Dr Totton has a ton of experience in the field already and a solid degree. And yes, Doctor Leah iss actually a doctor. “The worst aspect of the publicity surrounding The Apprentice has been the internet claims that I’m not a real doctor, I’ve worked for seven years to get where I am today and I’m very proud of it. I’m also really aware of my professional responsibilities, which is probably why I appeared so reserved and on my guard at all times on the show.” says Leah. Leah was calm, cool and collective on the show. She did a great job and we are so happy she came out on top. “I don’t see it as moving over to the dark side, I see it as medicalising the dark side and casting a light onto it,” she says.